BUCS: Williams 19-94, Gradkowski 4-19, Pittman 1-11, Galloway 1-2. BENGALS: R.Johnson 17-52, Palmer 2-1, Houshmadzadeh 1-0. 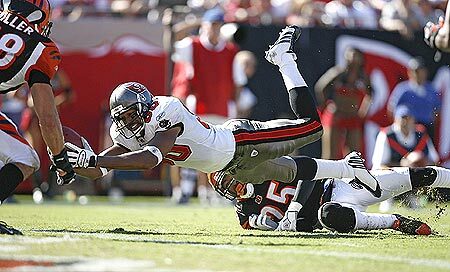 BUCS: Galloway 7-67, Clayton 6-55, Williams 3-10, Alstott 3-10, Smith 3-10, Pittman 2-10, Becht 1-12. 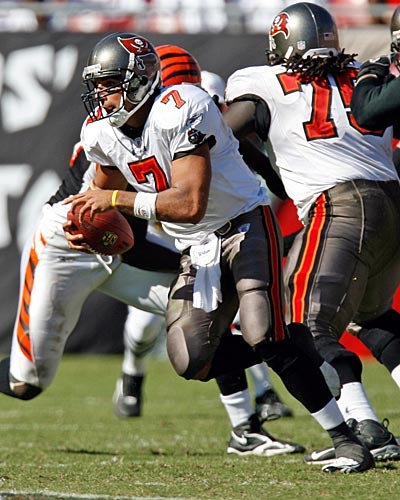 BENGALS: Houshmandzadeh 10-102, C.Johnson 6-99, Watson 4-18, Chatman 2-13, Kelly 1-27, J.Johnson 1-2. BUCS: Hilliard 5-37, Galloway 2-3. 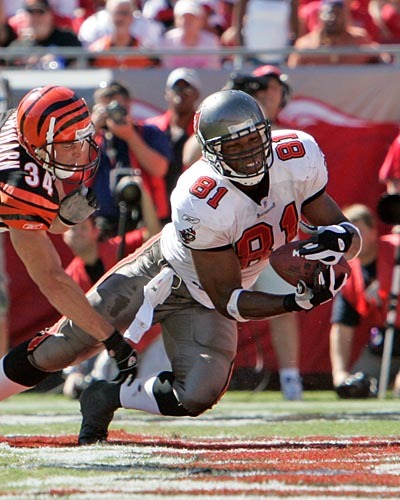 BENGALS: Smith 1-8, Geathers 1-2.